Who do you call? Would you know what to do to help it? Would you even know how to tell if it was alive? I was fortunate enough to learn the answers to some of these questions when I took a course on it last year. The course was about response to marine cetacean stranding. Cetaceans include dolphins, whales and porpoises. 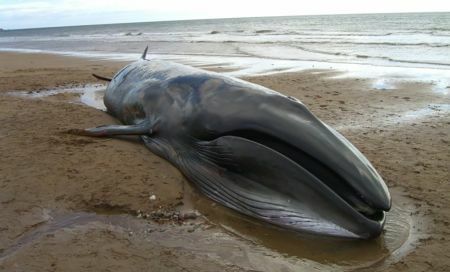 Whenever a cetacean is stranded on the beach, the best case scenario is it’s able to be refloated, which means it’s returned back to the sea. But it surprised me to learn that people—not cetaceans—are the main priority at a stranding. A refloating is never considered successful if the responders get hurt or injured. That’s why responders need to know the risks and how to mitigate them when attempting a refloat. Cetaceans are large, powerful animals and can harm responders with their tail, fins or teeth. Cetacean skin and breath can carry parasites and bacteria. Responders can get very sick if they don’t wear protective gloves and face masks. Responders must be equipped for the weather so they don’t suffer heatstroke or hypothermia. This means adequate clothing in cold conditions and hats, sunscreen and lots of drinking water in the heat. The conditions in the water can be problematic too. Large waves, strong currents and storms can make the seas dangerous for people just wanting to go for a swim. Throw in a large, stressed cetacean to rescue, and you begin to see why it’s important to consider the oceanic conditions. But the responders aren’t the only people who need protecting. These events can often draw a large crowd. Members of the public will be curious. Some people may try to get close, touch or even attempt to rescue the cetacean by themselves. Without proper training, they can put themselves and the cetacean in danger or stress it out. This means public relations is a must. Responders should keep the public informed about the cetacean’s status and explain why they’re taking a certain course of action. This will help avoid any injuries and help the public understand why responders do what they do. The last priority is the cetacean’s welfare. This might sound mean or self-centred, but it’s how to keep people safe. The bottom line is if the people aren’t looked after, they can’t look after the cetacean. This is the first question responders need to answer, but it’s not as simple as it may sound. With humans, breath is a pretty good indicator of life. As long as we’re still breathing, we’re hanging in there. This is a less reliable measurement in cetaceans, as some don’t breathe very often. A small cetacean such as a dolphin may breathe anywhere between one to five times per minute. Larger whales can breathe as little as once every 20 minutes. The sperm whale can hold its breath for as much as 90 minutes! Also, a stressed cetacean’s breathing can be irregular, so it’s not a great indicator of life. A better way to work out if the animal is still alive is to gently touch the cetacean’s eyelid. This will cause the cetacean to blink if it is alive. Another option is to very gently move the pectoral fins to see if there is any resistance. If the responders can’t see any signs of life, they may try touching the surface of the cetacean’s eye. This is only done as a last resort since live animals often react violently to this. Once they know it’s still alive, responders attending to a stranded cetacean first aim to stabilise it. They do this by reducing any stress to the cetacean. High levels of stress harm an animal’s health and can even stop them reproducing, so an animal that experiences minimal stress is more likely to survive stranding and refloating. How do you reduce a cetacean’s stress? Start simply by keeping noise to a minimum—excess noise can add to the cetacean’s stress. This is why members of the public are often kept far away from a stranded cetacean. It keeps the public safe, the area quiet and the cetacean calm. A cetacean can lose its sense of equilibrium on land. For them, it’s like when a person gets spun around quickly and gets dizzy. Keeping the cetacean supported and upright can help with this problem a bit. But being upright on land can put pressure on their fins by bending them at an unnatural angle. Digging trenches under their fins relieves this. Responders will usually fill the trenches with water as this helps the cetacean get rid of excess body heat. The Sun’s light and heat are big threats to a stranded creature. Cetaceans have evolved for life in the water, and the water blocks a lot of sunlight. A cetacean’s skin isn’t adapted for the high levels of Sun exposure out of the sea. It’s not just people who get sunburn—cetaceans do too. When stranded, cetaceans can suffer severe sunburn, and their skin dries, which causes it to peel badly. Responders will try to prevent skin loss by covering the cetacean as best they can in wet towels. This also helps keep the animal cool and wet, as well as shielded from the harsh Sun. 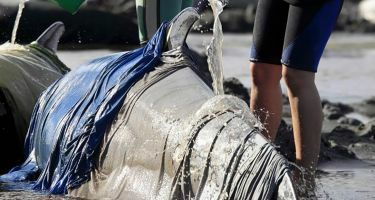 Responders douse the cetacean with buckets of water to further alleviate skin drying. Because of their sensitive skin, it’s less stressful for a cetacean to be touched with a flat hand rather than finger tips. Little things like this can help stabilise and destress a stranded cetacean. Responders can also remove any stones from under it, protect it from wind and drip a water-soluble lubricant over the cetacean’s eyes to protect them. Once the cetacean is stable, responders will decide whether they can save it. It might seem obvious to try and refloat the cetacean if it’s alive, but this sometimes does more harm than good. If a cetacean is too weak, injured or young to survive alone, refloating it won’t work. Attempting refloating when it’s not suitable will only make the animal’s final hours more stressful and unpleasant. So how do you know if a cetacean is a suitable candidate for refloating? 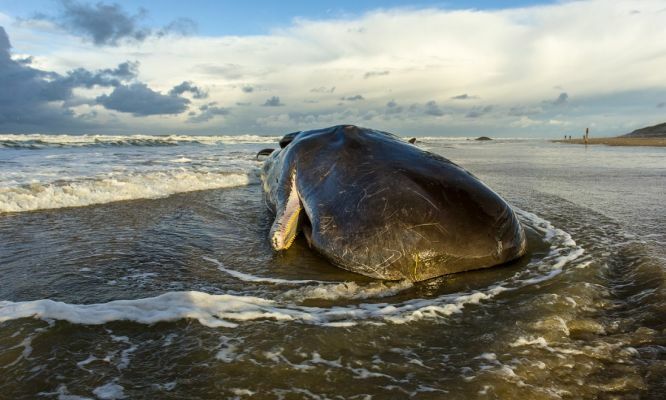 Firstly, stranding is an extremely stressful experience, and just like other animals, stress can reduce a cetacean’s chance of long-term survival and even impact their ability to reproduce. This means signs of extremely poor health or long-term high-level stress can make a cetacean a poor candidate for refloating. Breathing speed is a good indicator of the level of stress undergone by a cetacean . Often once the responders begin stabilising the cetacean, its breathing rate should lower as it relaxes. 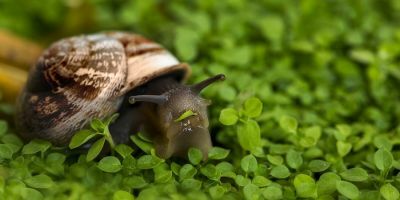 Touching or moving the animal and loud noises will increase its stress and breathing rate. If its breathing rate doesn’t lower when a cause of stress is removed, it may mean the animal is going into shock or suffering a respiratory disease. Shock is an extremely bad sign as it can quickly turn fatal if not treated. If a cetacean is suffering from respiratory disease, it will likely have bad smelling breath, discharge from its blow hole and shallow breathing. These are all signs a cetacean may not be healthy enough to survive if refloated. A weak, malnourished cetacean would also make a poor candidate. Checking the cetacean’s saddle muscles can be a good indicator of malnutrition. If the muscle to either side of the dorsal fin has a naturally round shape, the cetacean is likely well fed and therefore has a better chance at surviving refloating. 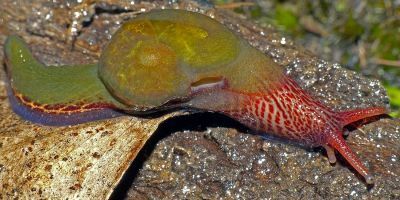 An inward dipping of the saddle muscles indicates malnutrition. But being stranded compresses a cetacean’s body, lifting the saddle muscles and making them tricky to assess. There’s also natural fluctuations, so what’s considered malnourished in the winter months could be healthy and normal in the summertime. That’s why it’s useful to check for other signs of malnutrition, such as signs of visible vertebrae through the skin along the back or dipping in the muscles behind the head, producing a noticeable neck on the cetacean. Malnutrition coupled with broken or damaged teeth could suggest the animal is elderly. This means it could be dying anyway and refloating might not be worth the stress the cetacean would be put through. 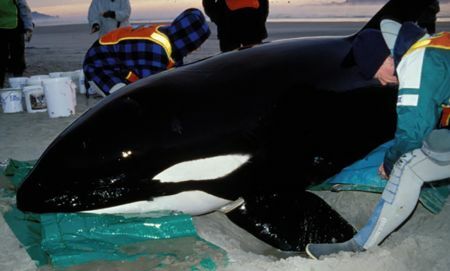 Superficial cuts and abrasions are common when a cetacean becomes stranded. This won’t rule out refloating, but wounds that go deeper into the muscle or bleed a lot could mean the animal won’t survive. The significant weight of a cetacean combined with the way their body comes to rest on the shore can put severe strain on a cetacean’s fins causing fractures and dislocations. Responders should check for these types of injuries as part of any assessment. Skin condition is another significant area to consider. As mentioned earlier, cetacean skin is adapted for life in the water. On land, it quickly heats up, dries, wrinkles and then starts to peel and blister. 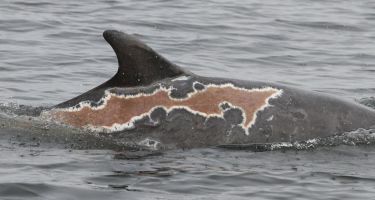 Significant skin loss is a sign of severe fluid loss and puts the cetacean at high risk of secondary infections. This can rule out a cetacean for refloating. Lastly, if an animal is too young and maternally dependent, it should not be refloated. It won’t survive alone. Responders would only try to refloat a juvenile if there is proof of its suspected mother in the area. Small size, frayed edges on the tongue and fetal folds (markings only present in the first few weeks after birth) are all indicators of a young individual. Considering all these things, responders need to make the final decision on the cetacean’s future. There are three main options available during a cetacean stranding: refloating, euthanising the animal or letting nature take its course. In some parts of the world, rehabilitation is a fourth, but rare, option. Cetaceans are large, so they require large facilities for rehabilitative care. Moving them by truck adds more stress to the cetacean. What this adds up to is rehabilitation being an option that is extremely dependent on having specialised facilities close to the location of the stranding. Refloating techniques for cetaceans will vary greatly depending on size and circumstances. Dolphins and porpoises are small enough to be moved onto a tarpaulin carried by people, but larger whales need specialised floating pontoons, heavy moving equipment and high tide. Animals must be moved carefully. If they are towed by the tail, it can cause spinal damage. As mentioned earlier, cetaceans can lose their sense of balance on land. This becomes important when refloating them. When moving a dolphin or porpoise back into the water with a tarpaulin, it shouldn’t be released just as soon as it’s deep enough. This will likely result in restranding, since the animal is still unbalanced. Instead, people supporting the tarpaulin on either side can rock the cetacean from side to side to help it reorient itself. Responders then periodically lower the tarpaulin to check if the animal can maintain its upright position in the water. If it rolls onto its side, they raise the tarpaulin and keep rocking it. If it remains upright, they can help it out to deeper water and let it go. Sadly, there are times an animal can’t be refloated—not just when it won’t survive in the ocean, but also when sea conditions mean refloating can be a significant risk to human life. Additionally, sometimes the location of a stranding and the size of the cetacean means responders can’t get the equipment to refloat them. Whenever refloating isn’t possible, euthanasia or letting nature take its course are necessary to consider. The main deciding factor between these choices is whether euthanising the cetacean can kill it instantly and painlessly. Given the sensitive nature of euthanising a cetacean, it’s extremely important for responders to consult with other experts to make sure the best choice is made. Furthermore, euthanasia should never be administered in front of the public. It’s such a controversial option that some countries don’t believe there is any safe, humane way to euthanise a cetacean. These countries have adopted the policy of letting nature take its course if refloating isn’t possible. Given the size of some cetaceans, firearms can’t always cause guaranteed instant death. Even the needle route is difficult because getting the right drugs in the right dosages in the right size needle isn’t always possible. If you can’t guarantee that the animal would die instantly or painlessly, euthanasia won’t be a humane solution. In these cases, letting nature take its course may be the only option. When this occurs, responders simply keep the animal as stable and comfortable as possible until it dies. Regardless of the option undertaken, a stranding can provide an opportunity to learn a lot about a cetacean’s biology. A huge amount of photography and measurements are taken, and in the case of a dead cetacean, samples can also be taken. In this way, even when a cetacean dies, they can still help us learn more to improve cetacean conservation in the future. But when a stranded cetacean is alive, we humans get the opportunity for some active conservation. If we have the right knowledge, the right equipment, enough people and a little bit of luck, we might just save a giant. If you witness a cetacean stranding in Western Australia, please call the wildcare helpline at 9474 9055 and follow the wildlife officer’s instructions. 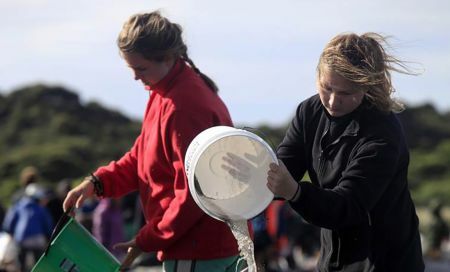 The cetacean stranding response course I took part in was run by Oceans Research using guidelines developed by Oceans Research in concert with the Marine Animal Response Society for use in South Africa. I’d like to thank Sasha Dines for her work consulting on this article. Sasha is the Head Field Specialist at the Ocean Research Campus in Mossel Bay, South Africa. She has extensive experience as a responder to cetacean strandings. 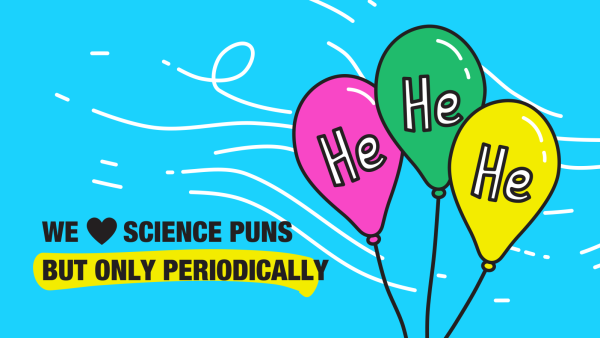 Tomasz is an experienced science communicator and all around nerd who enjoys science writing. He studied marine science at university and loves dabbling in marine photography, robotics and 3D printing.